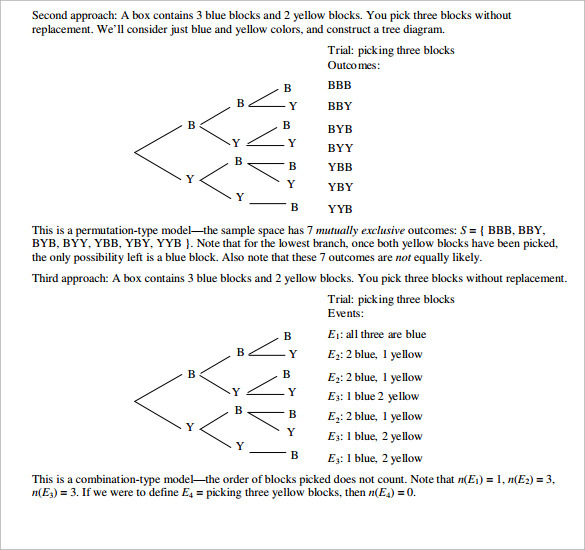 Tree diagrams may represent conditional probabilities as well as series of independent events. Conditional probabilities like drawing cards from a deck of 52 without replacing any cards. In a diagram, each node is related to an event and is associated along with probability of that event. 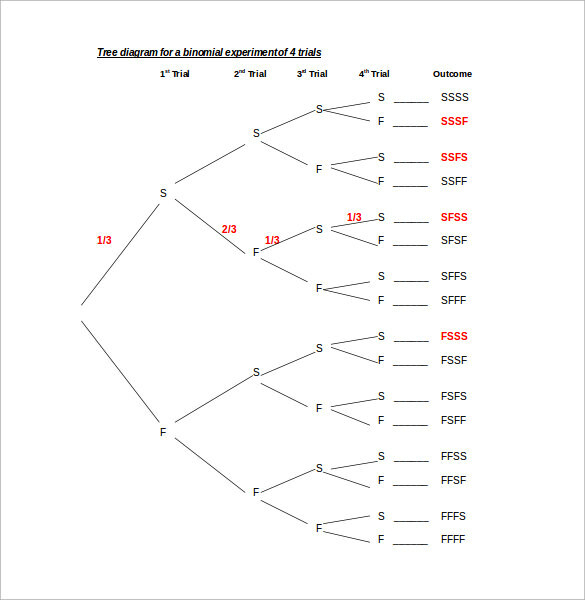 The sample tree diagram template comes in PDF file format which can easily be downloaded. 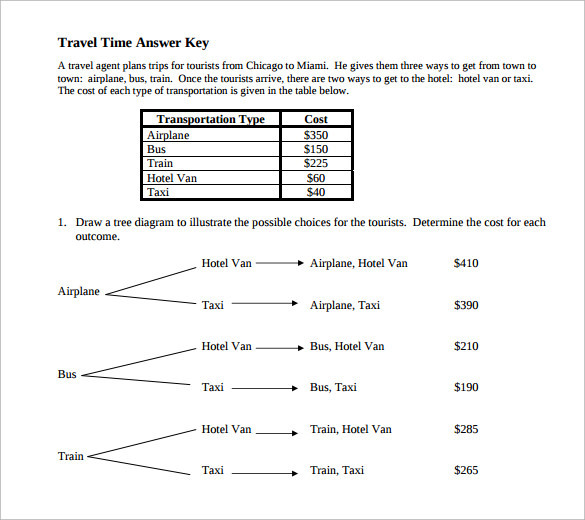 This sample features you a problem along with its solution in the form of tree diagram. This sample helps you in understanding how a tree diagram is used. 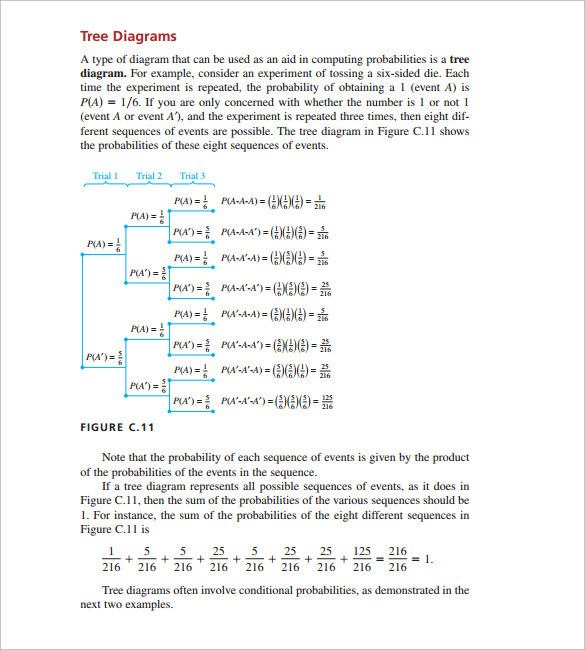 The tree diagram PDF template provides you with a PDF file which depicts the information about tree diagrams and the fundamental counting principle. A set of questions and answers is provided to it, amongst which one is of tree diagram. 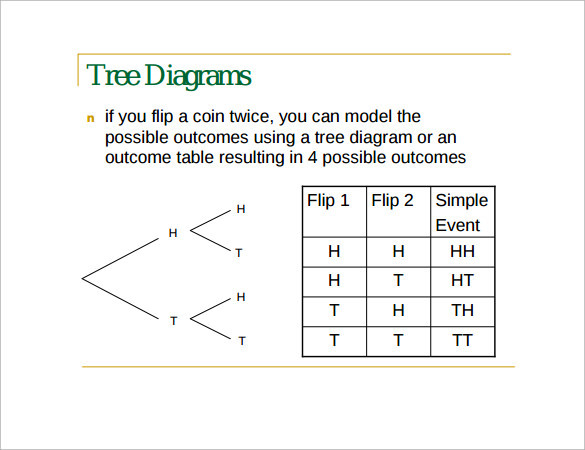 This tree diagram is used correctly to depict the solution of a problem. The tree diagram word format template comes in word doc file format and is extremely easy to download. 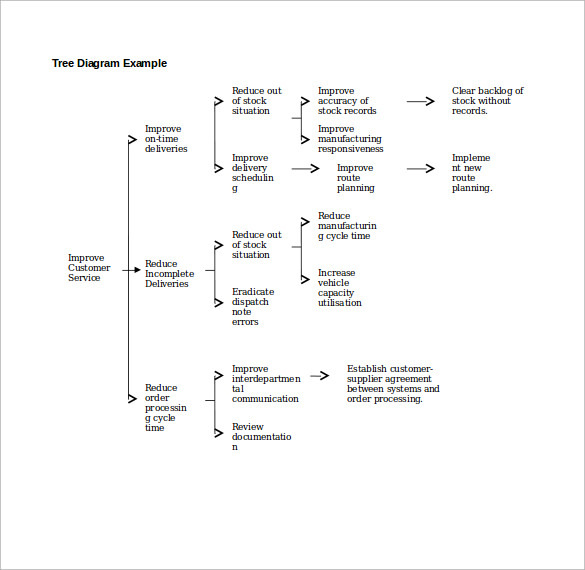 This template consists of an example with the help of which you get to know that how tree diagrams are useful in business. You can easily take help from this template while drafting it on your own. 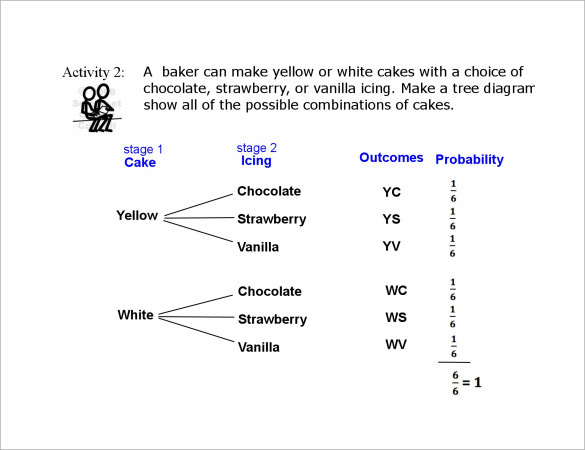 The printable tree diagram template features some information about tree diagrams and conditional probability in it. 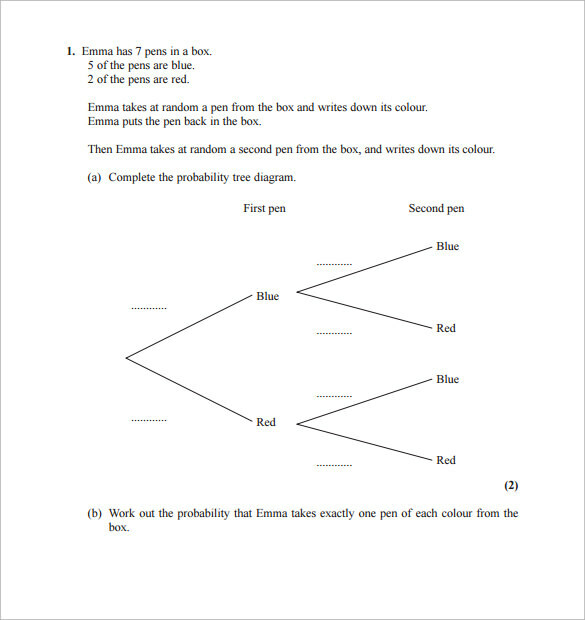 With the help of this template, it becomes easy for you to fully understand the concept as well as usage of tree diagrams in probability. Also, this template can straight away be printed and used. 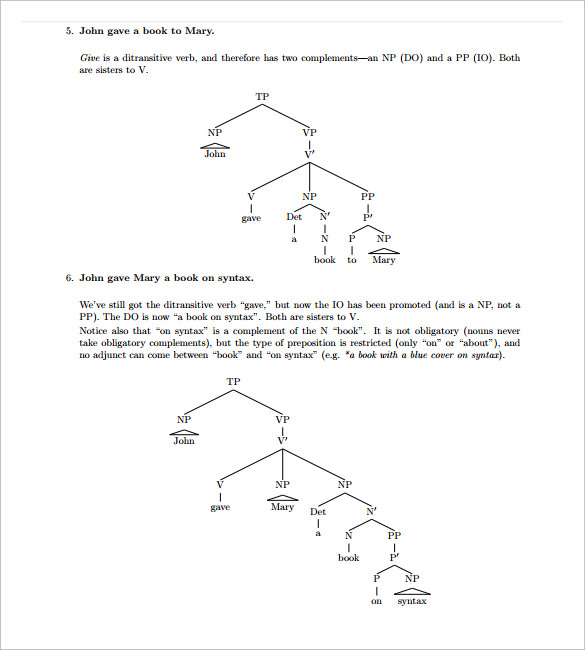 Why is the Tree Diagram Template Needed? 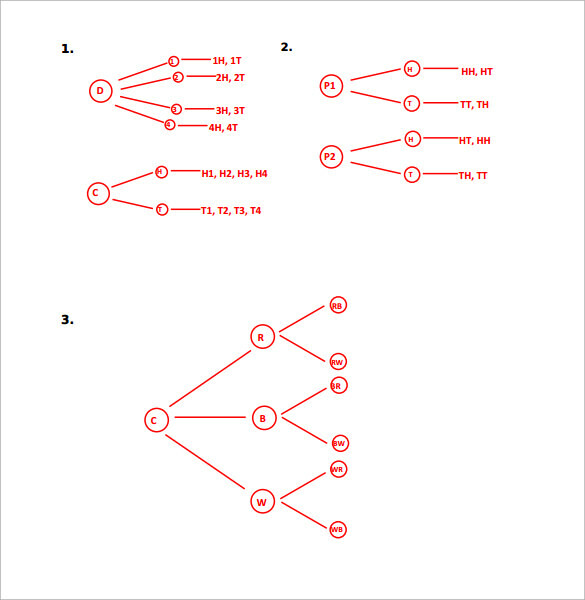 When is the Tree Diagram Template Needed? The tree diagram template is needed at the time of showing solutions of problems which can be depicted properly only with the help of tree diagram. 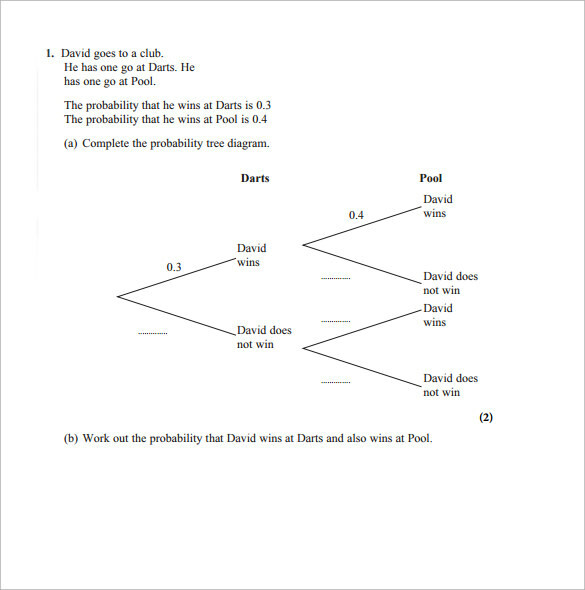 These tree diagrams are needed when you need to depict the solutions in a form of tree branches for example in probability, solutions are best depicted and interpreted with the help of these diagrams only. Also, you get several examples in this template which proves to be really helpful for you in understanding that how problems are solved by using them. 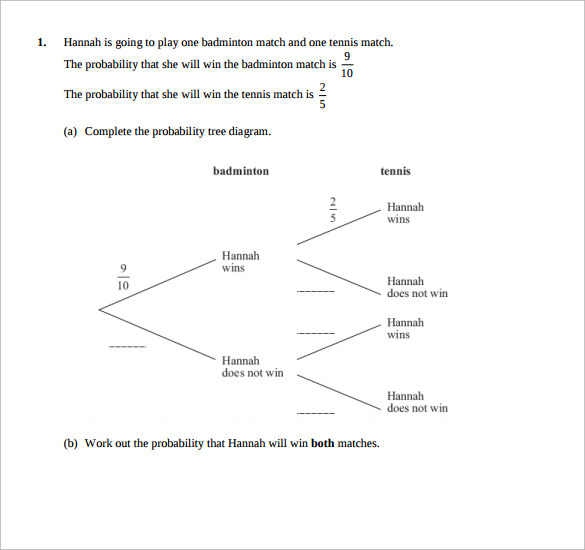 Also, you may need these templates when you are doing your mathematics homework, if you are a student or for teaching probability to students with given examples, if you are a teacher. 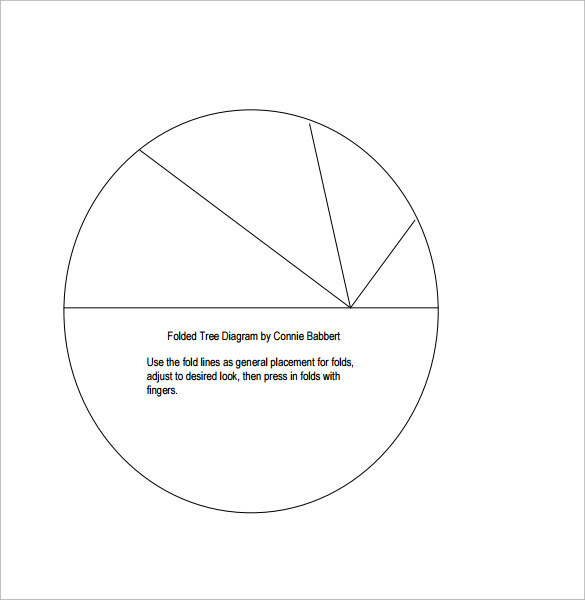 These templates also help in showing all possibilities of a problem at one go and without creating any confusion as with the help of this diagram it becomes immensely easy to do that. The examples provided to you in these templates are also well drafted and help you in various ways. You can download these templates without any hassle as you just require a working internet connection for it. There are various examples provided to you in it which also prove to be really helpful for you. You get various designs and options in tree diagram templates out of which you can find and download the one that best suits your needs and purpose. You can also print these templates for use.